Apple dzisiaj wydało ogłoszenie prasowe, w którym informują o przekroczeniu jednego miliarda pobrań z iTunes U – części iTunes przeznaczonej dla szkół, uniwersytetów i placówek naukowych. Na chwilę obecną korzysta z niego ponad 250 tysięcy studentów, 1200 uniwersytetów i uczelni oraz ponad dwa i pół tysiąca publiczych i prywatnych szkół. CUPERTINO, California―February 28, 2013―Apple today announced that iTunes U content downloads have topped one billion. iTunes U features the world’s largest online catalog of free educational content from top schools and prominent libraries, museums and organizations helping educators create courses including lectures, assignments, books, quizzes and more for iOS users around the world. More than 1,200 universities and colleges, and 1,200 K-12 schools and districts host over 2,500 public and thousands of private courses encompassing the arts, sciences, health and medicine, education, business and more. 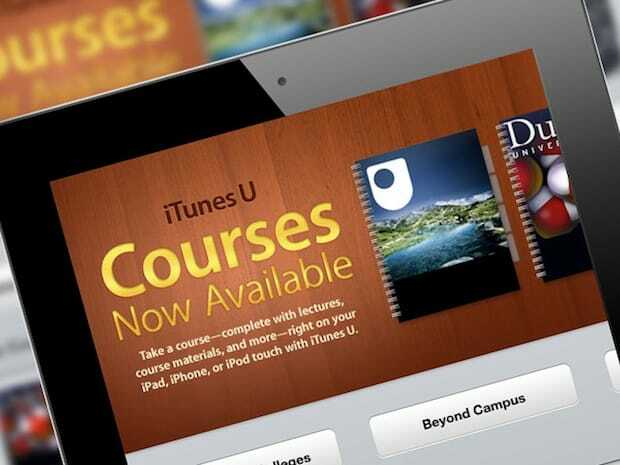 Leading universities including Duke, Yale, Cambridge, MIT and Oxford continue to extend their reach by enrolling more than 100,000 students in single iTunes U courses, with Stanford University and The Open University each surpassing 60 million content downloads. The Ohio State University’s Matthew “Dr. Fus” Stoltzfus’ General Chemistry course enrolled over 100,000 iTunes U students in the first year it was offered. Over 60 percent of iTunes U app downloads originate from outside the US, giving schools of any size the ability to share their content with a worldwide audience. The unmatched global reach of iTunes U gives educators, like University of California, Irvine Professor Dan Stokols, international recognition and acclaim in their fields. Educators can create iTunes U courses in 30 countries including recent additions: Brazil, South Korea, Turkey and United Arab Emirates. These courses, and other education content, can be accessed via the iTunes U app in 155 countries. In addition to thousands of individual iTunes U learning materials, over 75,000 educational apps are now available for iOS devices on the App Store. Additionally, with the free iBooks Author app on the Mac App Store, writers and publishers continue to bring ideas and stories to life sharing more than 10,000 original Multi-Touch books with the world.